On November 1, lawyers for NWU and the Ebony Media Organization finally met in a Cook County courtroom. At issue is the $80,000 owed to the 48 freelancers who are being represented by their union. 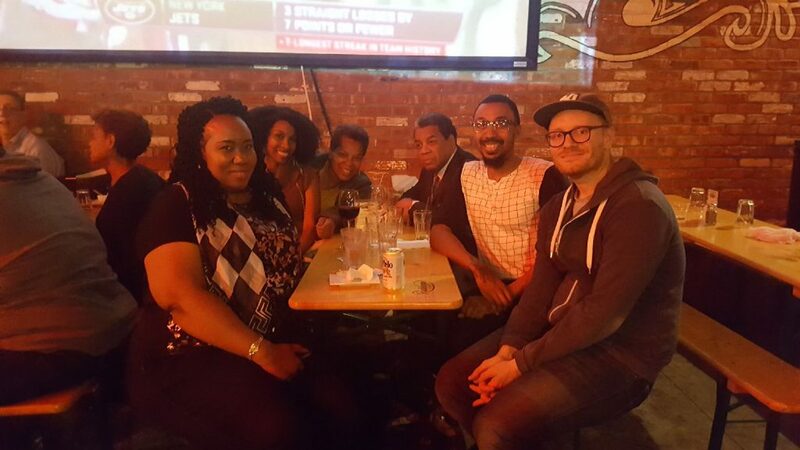 The following night, about a dozen Ebony freelancers and some NWU reps met and got to know each other at the NWU Happy Hour at the Harlem Tavern. It was a great evening of building the personal connections and ties that can bond people together, even though we all tend to work alone. Ebony has until the end of November to file a response with the court, and the next court date is January 5. We hope this is settled by then. In the meantime, similar events are planned in Washington DC, Chicago and LA. Contact NWU if you would like to participate, or if you also have a non-payment issue.